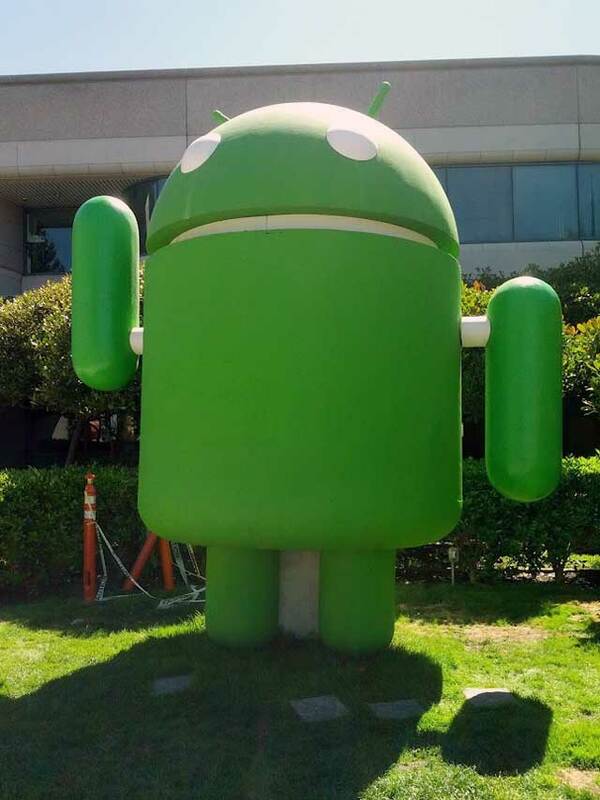 Paul Wilcox from Google told us that after a bit of a health issue, the Android Jelly Bean statue is back in action. This time they were able to get it to wave and made adjustments to make sure the statue is more stable. First off, the big green statue is waving again. For the last few weeks the big guy had been taking a break and his right arm was down, but he seems to be all rested up and is waving to anyone who bikes, walks, or drives past. Secondly the Jelly Bean 2.0 statue is now out on the lawn. In typical Google "launch and iterate" practice we put the 1.0 version of the statue out right when we launched Android 4.1 Jelly Bean but there was room for improvement. The new statue has a solid head and is clearly overflowing from jellybean-y goodness.